Is broadband the gateway drug for the web or the drug itself? When Google deploys a fiber-to-the-home network in Kansas City, Kan. (and later in Kansas City, Missouri) its success for the project will not be measured in dollars but in users. And in promoting this view of broadband Google shows a keen understanding of how broadband has the potential to disrupt everything — the value isn’t in delivering broadband — it’s in delivering services over broadband. That doesn’t mean that broadband isn’t valuable, but it’s also not the highest value — much like electricity is valuable, but it’s the air conditioning or refrigeration that it enables that people spend more money on. Which runs somewhat counter to the argument put forth by ISPs, especially those keen to meter broadband — that the value is in the access itself. Instead of viewing broadband as a gateway to the web, and trying to capitalize on that by offering faster speeds that people will eventually pay more for as Verizon is doing with FiOS, many ISPs view broadband as something that’s valuable in and of itself– and as such it might make sense to charge people by the byte. So when Matt Dunne, manager of U.S. community affairs for Google, spoke at the Greater Kansas City Chamber of Commerce 2011 Innovation Conference back in July and explained how Google feels like it will be successful when people convince their neighbors to subscribe to gigabit services and use the applications that Google and others develop for gigabit networks, he is buying into the idea that broadband is just one step in the value chain, rather than the entire value chain. Dunne also said Google plans to make its pricing and offering for gigabit networks clear this fall with the network itself coming online in the first quarter of next year. We can expect the pricing and offering to be more consumer than business oriented, given how Milo Medin, who is in charge of the Google Fiber project, previously scoffed at other cities’ gigabit networks, which charge hundreds of dollars for access. This also fits with the idea of broadband as a gateway drug to other services. Dunne also made Google’s point of view abundantly clear in how he answered questions posed by the community about how they could work with Google. The bottom line is they shouldn’t really want to. Dunne tried to convey that Google wants people to develop applications for this network that Google will provide, but that in order to do it, they don’t actually need Google. So most questions about creating entrepreneur centers and ways for folks to “work with Google” on creating apps, were met with what seemed like the bewildered air of someone who has the Silicon Valley mentality of entrepreneurship, where you just go out and start something. Dunne was telling the people in Kansas, that the tools were there. They just needed to use them to actually create something cool. 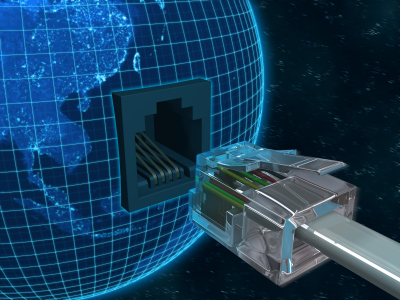 If broadband is only a small part in the value chain, how does a company recoup the costs? Again, in this view broadband is a tool, rather than the solution. I’m curious how Google’s model plays itself out in terms of building and sustaining a broadband network. If it can build out the network and sell access while making money on that access, it could change the economic model for providing broadband. If it manages to build the network and capitalize on it to sell Google services and ads to subsidize the networks, that’s less revolutionary, but it does offer a competing option for broadband in both Kansas Cities. It also provides another economic model for broadband build out. With the Kindle, Bezos could show ISPs the way. One of the best analogies for these differing views on broadband comes from the hardware industry. Hardware vendors often confuse their boxes with the value, when in today’s connected world it’s the services that matter. 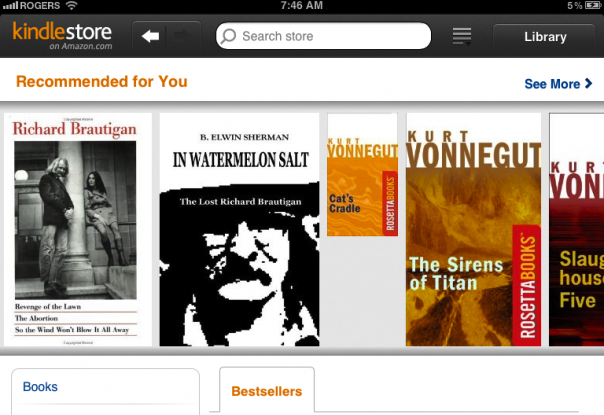 Look at how the Kindle platform has evolved. This isn’t a hardware business for Amazon, so much as it’s providing a service. Can broadband providers evolve to deliver services their consumers will pay for in a competitive environment? Some like Verizon, or Comcast are trying with new services offerings. However, for every step forward it seems like ISPs take another step back when they block competing services or introduced tiered plans or caps. But in this conversation with Kansas City economic leaders Dunne offers a bit of hope for those almost 1,100 other cities who tried for Google’s gigabit network and didn’t get it. He said Google was in “active conversations with other communities right now,” to bring fiber to their areas. However, he promised the leaders of KC that because they were the first, they can expect exclusive access to Google fiber at least through the “first couple of quarters of next year” before a next area is started. Let’s see how much change Google can bring. I am not sure what the author expects of ISPs. I don’t want my electric utility to get into the business of offering me refrigeration or air-conditioning services. I want them to just offer me reliable electricity at the lowest possible price. Same thing with my ISPs – I want them to be dumb pipes concentrating on offering me great bandwidth at the lowest possible price. I don’t want them getting into any services I consume over the network. That will lead to some conflicts of interests like favoring their own services versus the competition’s services. The basic business model for an ISP has been working very well. The large masses bear the costs of a few heavy users. Perfect as long as my parents are reading a webpage or two and send around pictures of their grandchildren. But what happens if they start sending HD movies or buy a Google TV settopbox and they start watching HD youtube movies? Suddenly the network is filled to its rim with heavy users, all trying to watch Charlie bite a finger. And while Google is looking for more space for its stockpiling profits (a large consumer electronics company, anyone? They’re two-for-one today), the ISP is left with the costs of network upgrades and interconnecting traffic. In reality our broadband usage is already metered. But the costs are largely with the ISPs and the profits are with the content providers. Like Amazon is demonstrating with the Kindle: your chances to succeed as a content provider increase if you ensure the means to your content are affordable. Amazon subsidized the Kindle to sell more e-books, Google subsidized it’s Android OS to get mobile ad-views and will subsidize the broadband connections to ensure people will keep watching it’s ads and use it’s cloud services. If the value of broadband is not in the broadband itself, then the ISP must ensure that the user will pay for the broadband service as a means to get to the real booty. Like the electricity company that meters the electricity we need keep our house cool and power up the 42incher to watch the Superbowl. It is up to the content providers to decide if the ISP will send the bill to the consumer or if the costs will be hidden in the price of the real value we are looking for: how hungry is that Charlie. This is going to be a hard sell for Telecoms Providers, who spend million buying their Telecom Gear from Telecom Equipment suppliers. as far as they are concerned, due to the long turnover period to profitability after installing their equiptment, they are trying to make as much money from everything as possible to achieve this. Thus even older more established Telecom providers are unwilling to “give away” even a dollar on anything they can charge for. Broadband would have to become a right akin to right to life, liberty ect. under the UNHCR (Unite Nations charter for Human Rights) before they see Internet as a gateway or platform for services, especially as they do not host these services themselves!! If the ISPs start charging by the byte, they will reduce the value of the web. People will worry about over charges, and stop surfing as freely. They will not like being charged for the ads they receive, and will avoid some ad-supported websites. ISPs are, for the most part, very profitable, and would be making a big mistake if they tried to increase those profits by raising prices. Their costs are only marginally affected by heavy users of bandwidth, so their only reason for changing their pricing model would be sort-sighted greed. I don’t think people are understanding why Google is doing the fiber project. Like the Nexus One, which many people viewed as an attempt to take over an industry, Google is using the KC fiber project to demonstrate that fiber to the home can be profitable. Google created the Nexus One to set the standard for flagship Android phones, and more importantly, to try to wean carriers and consumers off the bundled phone and service plans (which should be outlawed anyway). That attempt failed, mostly because consumers are challenged by math; they could not understand that they pay carriers for the subsidy many times over. Carriers obviously like the bundled model, because it locks consumers into their plans. The two main telcos in the US have been slow to roll out FTTH, and Google understands the value of fiber to the entire web industry. Every business needs constant recycling of profits, otherwise it stagnates and stops growing. ATT and VZ would rather shift customers from wired broadband to broadband wireless, where they can charge a lot more, and have less competition, so they have been reluctant to seriously invest in fiber. The KC project is Google’s attempt to expose how wrong they are, and hopefully put some pressure on ISPs to upgrade their plant. If Google can make a profit on KC, then other companies and entrepreneurs may follow their lead and build fiber networks in other cities.